• Brew the teas separately, strain and leave to cool. • Add the Lemon & Lime tea, Passion fruit juice, lemon juice and mango cordial into a glass and mix well. 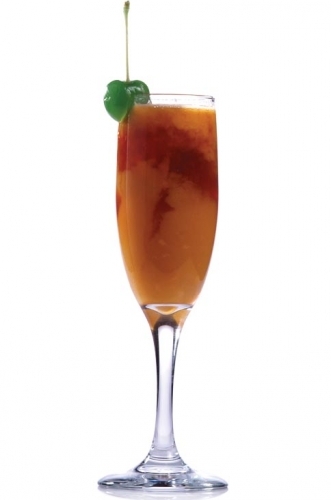 • Pour contents into a champagne flute and add the Ceylon Supreme tea without stirring.